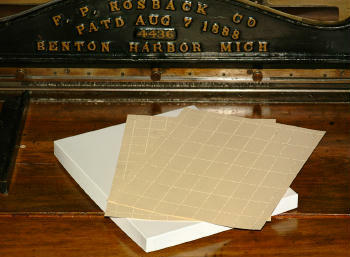 Moisture activated adhesive dry-gummed paper, pinhole perforated for making your own faux postage stamps . . .
Print on it with your laser jet or ink jet printer. Draw on it with archival ink pens. Rubber stamp on it - even color them with pencils or pens. 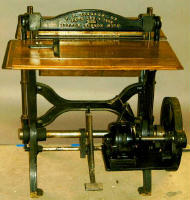 All stamp stock sheets measure 8.5"x11". Options: You may also special order your 100 Sheets of dry-gummed stamp paper using the drop-down menu (below) to select one perforation pattern for all 100 sheets instead of the variety assortment. 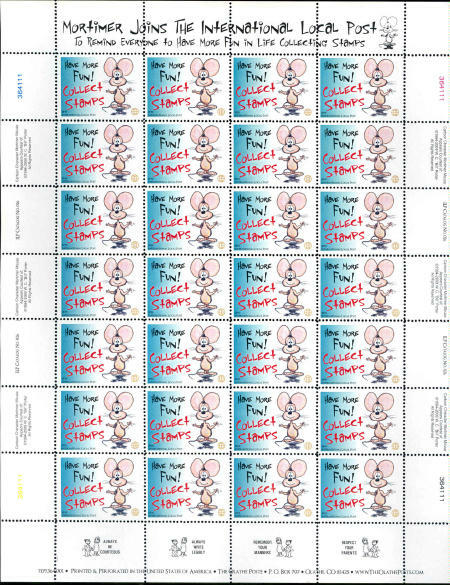 Custom perforating of your artistamps is also a service of The Olathe Poste and WCP-NM.COM, just drop us a note with your requirements. 100 SHEET PKG WILL NOT FIT INSIDE A USPS FLAT RATE ENVELOPE. PLEASE CHOOSE THE VARIABLE WEIGHT BOX OPTION WHEN SELECTING GLOBAL PRIORITY MAIL AS YOUR METHOD OF SHIPPING. I had been looking for pre-perf paper for a long time, but I ..